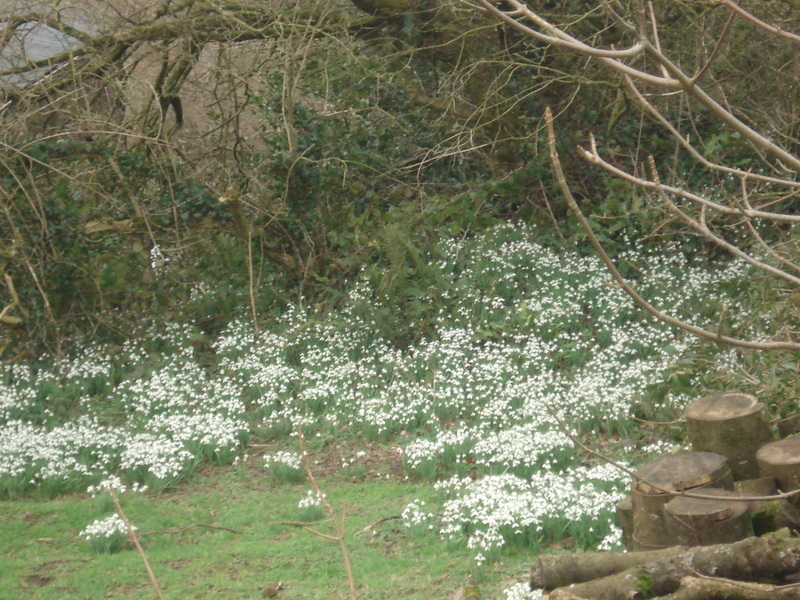 Everywhere there are snowdrops – in our garden, in the hedgerows and swathes of them on our neighbours land. Last year we dug up lots of snowdrops from a wild area where they were growing in the back, and planted them into the borders, front and back. 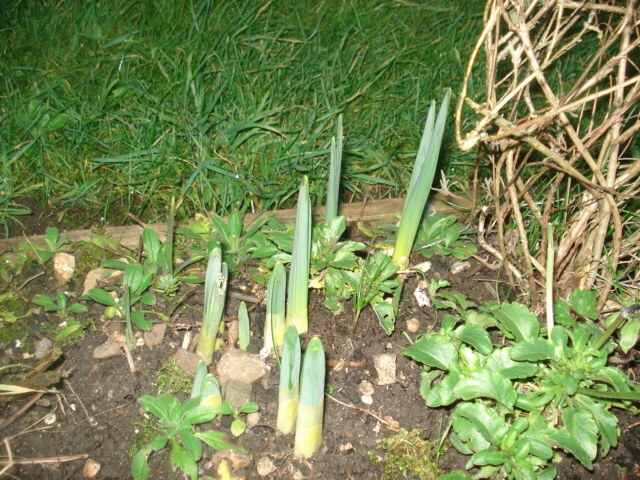 Its good to see they have taken and are coming up with the daffodils. It’s great to see the Primulas also in flower, and we have the first crocus bulb out in one of the pots by our front door. 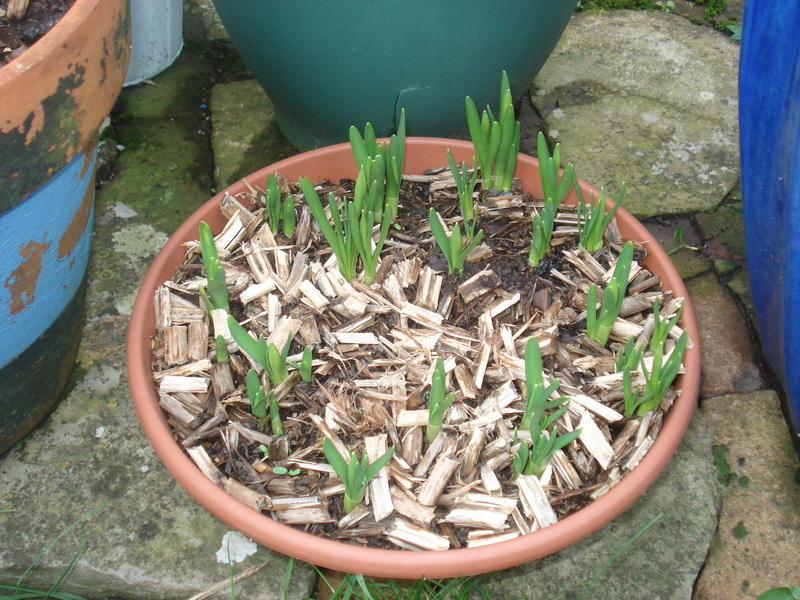 Its welcoming to see the bulbs coming up everywhere, certainly gives us hope that Spring is round the corner and perhaps we will see an end to all this rain and flooding that people have endured. Luckily we are OK here as we live on a hill and the water just runs downhill, but so many places have been affected, I feel so sorry for people whose houses have been flooded. Anyway we are open for bed and breakfast business as usual. 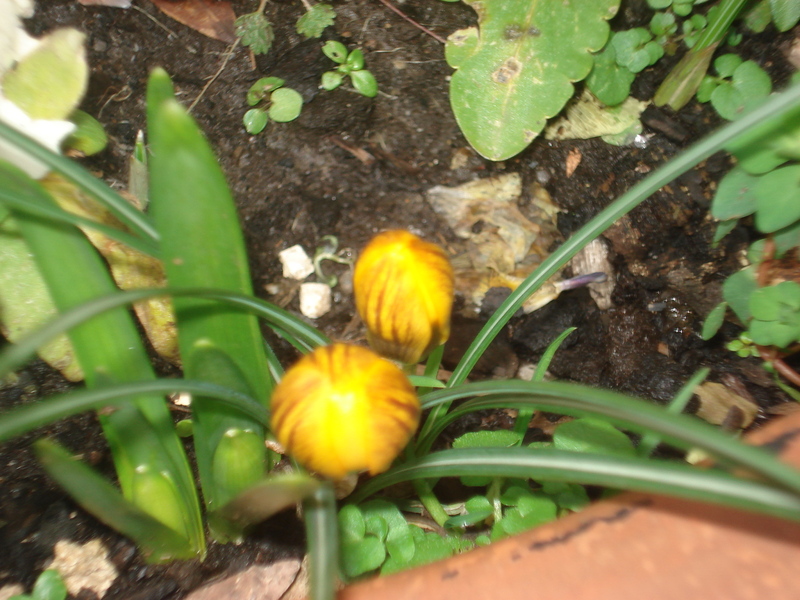 We’ve had a mild spell of weather recently and the daffodil bulbs in the ground have responded by starting to come up. It’s too early, it’s still Winter, it’s only the beginning of January!! 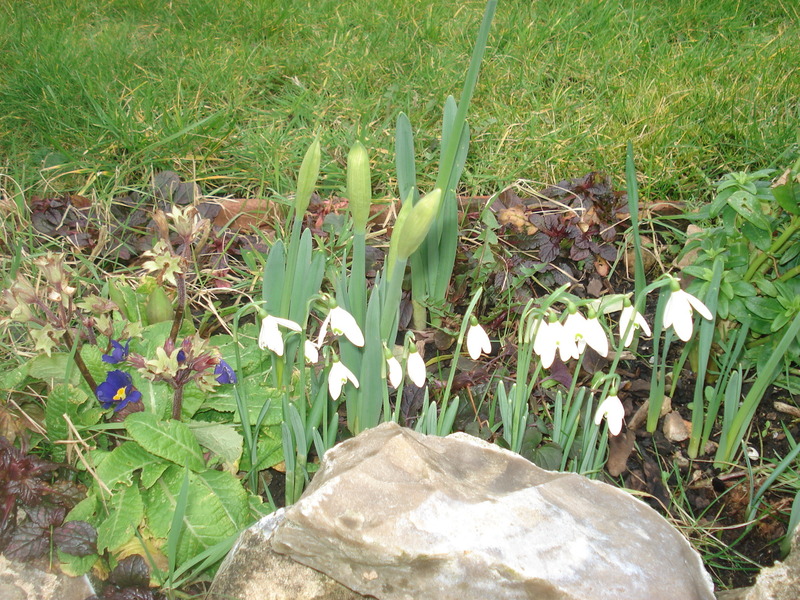 Any blast of cold weather or frost will damage them. When we were driving back from Taunton yesterday we saw trees in blossom. The season’s are all upside down, the plants are confused. 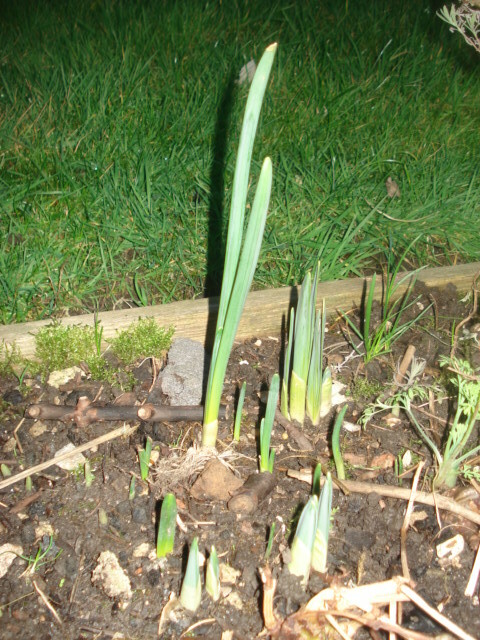 I wonder how soon it will be before the daffodils are in bloom?